The Channel 4 series Lakes on a Plate featured Kendal last week. Peter Sidwell visited the town and made a beeline for Romney’s to find out more about the company’s world-famous Kendal Mint Cake. Inspired by the trip, he rustled up a Kendal Mint Cheesecake! To watch the relevant episode, follow this link and select Series 1 Episode 7. Had a great day at Mintfest – a weekend of street entertainment in Kendal – today. We took in a number of acts but our own personal favourite was ‘Mannekino’ by Oddlings from The Netherlands. In short, the act involved a guy (a window dresser) putting out some clothes on a rail and then going into the town hall to fetch a mannequin to dress. He returned carrying her on his shoulder and then set about getting her dressed. Only it wasn’t a mannequin at all – it was a real person. Take a look at the video of the same act performed in Bremen. The Kendal Festival of Food is the food festival at which most of the activity happens at source – in the fields, farmyards, restaurants, cafes and hotels where the food is produced, or where the chef prepares their menus. Encouraging the food lover to explore tastes, locations and landscapes is its ethos. This year’s programme is already coming together and offering great opportunities for all the family to get involved with food. It pays to book early, whether you want to learn how to make cupcakes with Ginger Bakers or enjoy an apple and fruit festival at Beetham Nurseries. A Festival highlight will be a ‘Journey From Field to Fork’ featuring local producers and staged in Kendal Market Place on 26th October 2010. Peter Gott, of Sillfield Farm, Dales Butchers, Agnes Rose and Kendal Cordials, are just some of those taking part in a free event encompassing cooking demos recipes and ingredients to take home, knowledgeable local farmers and producers, farmyard animals and grow your own advice. The event is sponsored by both local produce champions and delivery service beelocal and Lakeland Radio. Broadcasting will be live from this event. Bread fans will be delighted to know that acclaimed artisan bakery, Staff of Life, will be highlighting its artistry and genius through the creation of delicious artisan breads at free demos fixed for 22nd October (8.00-12.00) and Sunday 24th October (10.00-17.00). If world-class bread is not a food lover’s thing, they could book for a very different sort of cookery course a little further out from Kendal. A Food Smoking course is being run by Smoky’s Jo’s, in Shap, and the smoking experts will be demonstrating how anyone can cook their own smoked food at home, whether in a saucepan or a filing cabinet! Over 14 different foods will be smoked on this course costing £90. A kick to the kitchen fare could follow a tour of Hawkshead Relish Co, which will feature the production of artisan preserves and condiments. This event on 23rd October is free, but booking is essential. Brewery tours will be taking place at the Hawkshead Brewery, in Staveley near Kendal, on 25th, 27th and 29th October, at 1pm, 2pm and 3pm each day. These will allow participants to look into the Brew House and even wet their whistle with a few pints! 26th October offers the option of a farm tour at award-winning Low Sizergh Barn whilst Children’s Pizza Making, in which chef Martin McMillan will show kids how to roll, top, cook and eat a pizza, will take place in the heart of Kendal at Infusion, in Finkle Street. A variety of food offers for diners have already been arranged during the Festival. Some already announced come from Truly Scrumptious, Jintana Thai, Infusion Italian Ristorante, New Moon and Stonecross Manor in Kendal, whilst others are at the restaurants of hotels like Lindeth Howe Country House Hotel in Bowness, and Rothay Manor in Ambleside. Details of all events, offers, sampling sessions and other foodie things-to-do will be added to the Festival website as they evolve, so keep checking the site for updates! To reach us, you can take a taxi from Oxenholme from where it is just a few miles into town. Alternatively, you can change trains and take the Windermere branch line to Kendal station, from where our accommodation is just a short walk away. Not swimming in the Great North Swim but still coming to the Lakes? Read this! Assuming they’ve checked their email, participants in this year’s Great North Swim will have already received the rather disappointing news that this weekend’s swim won’t be taking place. Many visitors for the swim will hopefully still come to the area, though – or may already even have arrive – and I just want them to be aware of a great event taking place in Kendal. It probably won’t make up for the disappointment but hopefully it will be an enjoyable substitute. 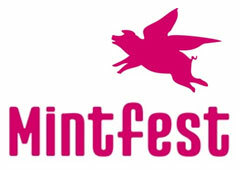 Mintfest is described as “an exhilirating kaleidoscope of the very best contemporary international street arts. The event is generally regarded as one of the UK’s leading street festivals and will include everything from street performers to dancers to circus performers… and lots more! It won’t be quite the weekend you’d planned, but it’ll still be a lot of fun. News is just in this evening that the Great North Swim – scheduled for this Saturday and Sunday – has sadly had to be postponed to a later date (or may even have to be cancelled). We’ve had a few sunny days here in Cumbria and, with more good weather forecast, there are concerns about the levels of blue-green algae in the water and the safety implications that this has for swimmers. This is desparately disappointing for those who had planned to take part, particularly since some have no doubt already travelled to the area. Swimmers will be able to take part on the new date in 2010 (if indeed there is one), get a refund on their entry fee, or defer their entry until next year.